Spring, Texas – May 18th, 2017: Investigators with the Harris County Fire Marshal’s Office have identified the suspect that set Frank Elementary school to fire on May 7th, 2017. Michael Wood (17) has been charged with arson according to officials. Wood is a student at Klein Oak High School. According to court documents, Wood told investigators that he “often sets fires to make himself feel in control”. Wood admitted to being on top of Frank Elementary School a number of times, including the night of the fire; he stated that he “goes there to get away from people”. 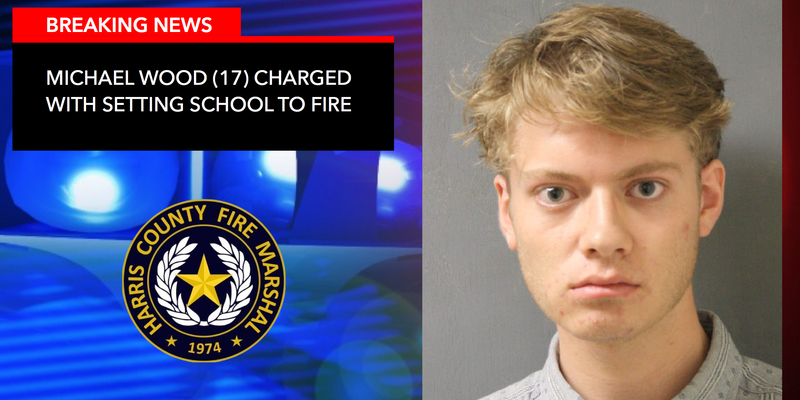 Wood reportedly climbed to the roof of the school and used a lighter to ignite newspapers on fire. The investigation concluded that the burning newspaper continued to burn and burned through the protective covering of the room then extending to the inside of the school. Wood posted bond on Wednesday, May 17th. He is scheduled for a court sitting on June 6th, 2017.